From Sept. 12 to 22, Revolution Shakespeare is presenting “Troilus and Cressida” through FringeArts. Throughout September, South Philly residents may notice Trojan soldiers raging around Hawthorne Park. The outlandish site, a slice of the citywide FringeArts festival, will be Revolution Shakespeare theatre company’s fifth appearance in the public space. From Sept. 12 to 22, the troupe is presenting a revamp of “Troilus and Cressida,” which follows an omnium gatherum of plotlines and characters, including the two lovers which make the play’s title, during the later years of the Trojan War. While public space has often been a platform for Shakespearean work, the cast and crew say the characteristics of Hawthorne Park — a communal hub of South Philly — especially aligns with the elements of Elizabethan Era theater. 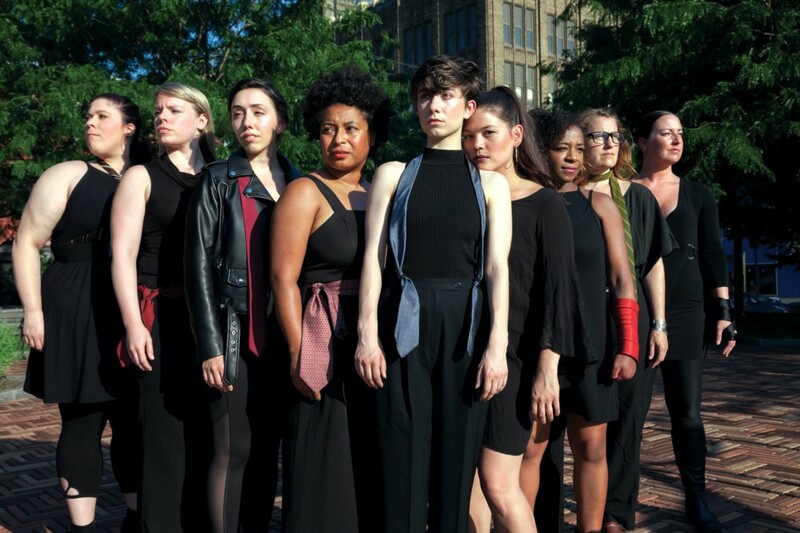 The rendition derived from the company’s annual spring series, “A Revolt Against the Patriarchy Staged Reading,” which features Shakespeare play readings set solely to the sounds of women’s voices. In its 2017 production, the company tackled “Troilus and Cressida,” which was later translated for the park this summer. This was the first time in the troupe’s five-year history the reading series was transformed into a full-fledged production. Regarded as one of Shakespeare’s “problem plays,” the story seems to be genreless while simultaneously encompassing several categories at once — tragedy, comedy, romance and history. Unlike tackling juggernauts such as “Romeo and Juliet” or “Hamlet,” for the actors, approaching a lesser-known piece, particularly ones placed in more ambiguous brackets, allows for more creativity in their thespianism. This leeway aligns well with the show, considering the play’s unconventional setting in Hawthorne. While the piece itself is rather unorthodox in the catalog of Shakespeare’s work, the cast and crew have also executed their own take on the text, as Geffers significantly reduced aspects of the original play based upon the number of actors in the show. More insipid scenes were streamlined into one script, narrowing the plot down to what feels necessary, which even strengthens the dynamics between two individual characters and allows audiences to better keep track of the play’s unfoldings. And while the official choruses were cut down, the theater-goers, park users or simply South Philly residents wandering by Hawthorne will unknowingly serve as the backdrop hordes Shakespeare intended for Troilus and Cressida to include. “Troilus and Cressida” will run at Hawthorne Park from Sept. 12 to 22. Sept. 12 and 13 at 6:30 p.m.
September 14, 15, 16, 19, 20, 21 and 22 at 6:30 p.m., and Sept. 21 at 10 a.m.
Sept. 18 and 23 at 6 :30 p.m.